Troy Messenger received a BM at the University of Miami (1980) in oboe performance, an MAR and M.Div. from Yale Divinity School’s Institute of Sacred Music (1983, 1988), and a Ph.D. in Performance Studies at New York University (1997). Dr. Messenger has been working with communities of faith for over two decades to creatively explore the dimensions of sound, word, movement, and image in worship. Ordained as a Baptist, he has intentionally worked across denominational boundaries with a variety of Christian and Jewish congregations. Since coming to Union Seminary in 1995, Messenger has overseen a daily chapel program that spans the spectrum of the diversity of Union’s students and addresses the most pressing needs of our world. 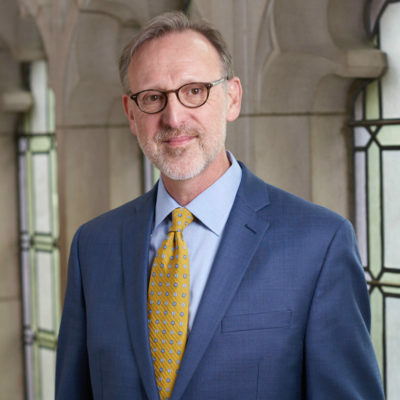 His work on large ecumenical services has recently included the Christian Peace Witness at the National Cathedral and the Dalai Lama’s Peace Council at Riverside Church. His interests include emerging rituals and liturgical media. Messenger continues to perform as an oboist with a variety of chamber groups throughout the metropolitan area. Dr. Messenger’s publications include Holy Leisure: Recreation and Religion in God’s Square Mile (University of Minnesota Press, 1999; Temple University Press, 2001), “These Stones Shall Be God’s House: Tools for Earth Liturgy,” in Earth Habitat (Fortress, 2001), “Ritual and Tourism,” in the Encyclopedia of Religion and American Cultures (ABC CLIO, 2003), “Shrove Tuesday Transfiguration DJ Chapel,” Liturgy(January 2008), and “Performing Media” Liturgy(May 2008). Messenger is also a regular contributor to “Lesson and the Arts” for Lectionary Homiletics.